From Mediaite: Earlier this morning, the Supreme Court ruled on the affirmative action case, Fisher v. University of Texas at Austin. 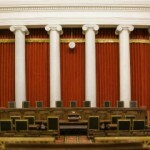 Mediaite reports, “The Supreme Court ruled on the affirmative action case involving the University of Texas on Monday, sending the case back down to the lower court. The 7-1 decision, with Justice Elena Kagan recused, avoided a major ruling on the matter of race as a factor in college admissions. ‘In determining whether summary judgment in the University’s favor was appropriate, the Fifth Circuit must assess whether the University has offered sufficient evidence to prove that its admissions program is narrowly tailored to obtain the educational benefits of diversity,’ the summary said.” Read on here. From Gossip Cop: Paris Jackson’s suicide attempt wasn’t as unexpected as it had appeared earlier this month. Explains Gossip Cop, “Paris Jackson reportedly battled severe depression and suicidal tendencies long before her suicide attempt earlier this month, and will require months of intense treatment to get healthy. Law enforcement officials say the June 5 incident, in which she cut herself with a kitchen knife, ‘wasn’t the first time’ Jackson had self-harmed, according to TMZ, which has also uncovered Jackson’s Tumblr page, allegedly filled with images of cutting and death references. The Tumblr photos — which Gossip Cop will not publish here — are graphic and upsetting.” Read on here. 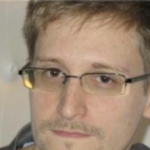 From Geekosystem: Where is Edward Snowden and how is sending the US government circles? To answer where he is not, Geekosystem writes, “Former CIA contractor turned infamous NSA leaker Edward Snowden is a much sought after guy right now. All reports indicated that at this moment, Snowden would be on a flight from Moscow — where he reportedly arrived yesterday from Hong Kong — bound for Havana, Cuba, which would get him that much closer to his final destination — likely either Venezuela or Ecuador. The flight was a popular ticket for the small legion of journalists currently dedicated to keeping track of Snowden, all of whom were treated to a rude awakening today when it became clear as the flight finished boarding that Snowden himself was not on board.” Read on here. From Styleite: Molly Goddard is bringing a new style to ASOS. Reports Styleite, “We’re always looking for excuses to indulge our inner children, particularly when it involves our wardrobes. Central Saint Martins graduate (and former intern for John Galliano and Meadham Kirchhoff) Molly Goddard evidently thinks along the same lines: she takes inspiration from Barbie and The Spice Girls (instant like) and channels it into boxy tulle frocks that fuse nostalgia and with fantasy and just a hint of absurdity. Apparently ASOS isn’t immune to Molly’s charms, either. They’ve tracked her down (we’re assuming she lives in an Alice in Wonderland-type rabbit hole in an enchanted forest) and will be her very first stockist.” Read on here. From SportsGrid: Mike Florio confirms the stereotype that football players aren’t the smartest people you’d find in a classroom. SportsGrid explains, “Pro Football Talk, the NFL news and rumors website that everyone inside the NFL reportedly goes to, is the beacon of insight. Editor/founder/writer guy Mike Florio has been on the Aaron Hernandez story from the beginning, and now he’s here with the sharpest commentary in all of the ‘net.’ He’s here with a headline so insightful that you may not be able to handle it. 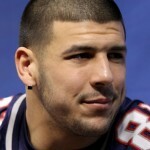 Aaron Hernandez has been connected with murder. Mike Florio thinks that, because this happened right after OTAs, players will be like, oh, one of our fellow footballers may have murdered someone, and, like, everyone is making a whole big deal about it, or something… weird… I guess we shouldn’t murder any people in the next five weeks… thanks for the reminder, Aaron!” Read on here. From The Mary Sue: Yes, World War Z is getting a sequel. Yes, it was decided just after opening weekend. Reports The Mary Sue, “World War Z might not be a good adaptation of the book, but it still could have been a good movie by itself. But lo, it wasn’t. There were some good bits, but on the whole it was an unremarkable movie. And now it’s getting a sequel. And we’ve found out what the original—better, in my view—ending to the movie was. You can taste the wasted potential. First, regarding the sequel: In just a few days it’s made $111.8 million worldwide against its $190 million budget, which is more than enough for Paramount to start developing another one. World War Z was originally conceived as a trilogy before its much-discussed production troubles started to kick in, anyway.” Read on here. 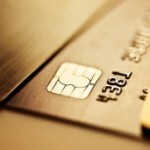 From The Jane Dough: Did you know that your credit score is not tied directly to your credit card? The Jane Dough explains 9 ways to build credit without swiping your card: “You might think that your credit has everything to do with your credit card. But, in fact, your credit report and score aren’t as closely tied to those slips of plastic as you might think. Because only a small portion of your credit score is based on having and using revolving credit, even people who aren’t comfortable relying on credit cards like this woman who eschewed credit cards for six years—can build a respectable credit score. And your credit report. (Though, keep in mind, having a credit card—if it’s used correctly—can be good for your finances. )” Read on here. 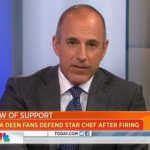 From The Braiser: Matt Lauer offers Paula Deen the opportunity to redeem herself. Last week, Paula Deen cancelled her TODAY Show appearance where she was expected to explain her racism. The Braiser‘s Tina Nguyen explains, “After abruptly canceling her TODAY Show appearance (arousing the passive-agressive rage of Matt Lauer and Al Roker) and stumbling over at least three bad video apologies, Matt Lauer announced that on Wednesday, Deen would finally return to the show to explain herself on Wednesday. ‘She has told us she will be here this time,’ Lauer said this morning, days after she bailed citing some sort of exhaustion in the wake of her controversial racist remarks.” Read on here.